On 9th October 2017 the Second Church Estates Commissioner, Rt Hon Dame Caroline Spelman MP, answered a question from Mark Hendrick MP about the 500th anniversary of the start of the Reformation in Europe. Mr Mark Hendrick(Preston): To ask the right hon. Member for Meriden, representing the Church Commissioners, what events and activities the Diocese of Blackburn is undertaking to mark the Quincentenary of the nailing of Ninety-five Theses by Martin Luther on the door of All Saints’ Church, Wittenberg, on 31 October 1517. Dame Caroline Spelman: Church of England dioceses are marking the 500th Anniversary of the beginning of the Reformation in Europe and parishes are being encourage to commemorate the anniversary in a variety of ways. For example in my own parish of Knowle, a sermon series will be held. On the 20th February 2017 the Second Church Estates Commissioner, Rt Hon Dame Caroline Spelman MP, answered a written question from Labour MP Jon Trickett about the issuing of security passes to non-staff members. On 15th June 2016 the Second Church Estates Commissioner, Rt Hon Caroline Spelman MP, answered a written question from SNP MP Deidre Brock, on deprived communities. Deidre Brock (Edinburgh North and Leith): To ask the right hon. Member for Meriden, representing the Church Commissioners, if the Church of England will make an assessment of the effect of austerity on communities in the most deprived areas as measured by the English Indices of Deprivation 2015 . Mrs Caroline Spelman: The Church Commissioners have no plans to undertake such an assessment. Through its network of parishes and dioceses the Church of England is present in all the communities of England. The clergy and people of the Church of England are well placed to hear, articulate and respond to the needs and concerns of local communities. This plays an important role in informing the public engagement of the Church on social policy matters especially at local level. On 23rd February 2016 the Second Church Estates Commissioner, Rt Hon Caroline Spelman MP, answered a written question from David Hanson MP about pay for male and female employees of the National Church Institutions. Mr David Hanson (Delyn): To ask the right hon. Member for Meriden, representing the Church Commissioners, what the average hourly earnings for their (a) female and (b) male (i) full-time and (ii) part-time employees was in each of the last five years. 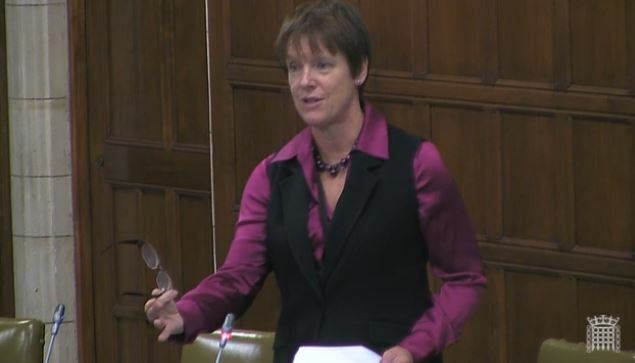 On 8th December 2015 the Second Church Estates Commissioner, Rt Hon Caroline Spelman MP, held a debate in Westminster Hall about the reform of marriage registration certificates. Mrs Spelman said that certificates should be updated to bear mothers’ as well as fathers’ names and that the process ought also to be part of a wider overhaul of the registration system. She announced her intention to bring forward a Private Member’s Bill to that effect and that an internal consultation within the Church had shown support for the proposal. Her remarks introducing the debate and responding to others are reproduced below, but the full debate can be read in Hansard here. That this House has considered marriage registration certificates. It is a pleasure to serve under your chairmanship, Mr Brady. The latest intelligence that I heard is that we might have a vote at 2.45 pm, but of course we are on a running three-line Whip, so we will just have to see. I am happy to have secured a Westminster Hall debate on this important subject. Since 1837—the beginning of Queen Victoria’s reign—marriage certificates in England and Wales have included the names of the spouses’ fathers, but not their mothers. I know that I am not alone in finding this state of affairs unacceptable in our modern society. Indeed, the Prime Minister said as much in August 2014. The issue has attracted calls for reform from many Members: the hon. Member for Brighton, Pavilion (Caroline Lucas) has tabled two early-day motions on the subject, each of which attracted 100 signatures; a petition on change.org was signed by more than 70,000 members of the public; and the hon. Member for Neath (Christina Rees) has introduced a private Member’s Bill in an attempt to secure the inclusion of mothers’ names on marriage certificates. I believe that the Second Reading of that Bill is scheduled for 22 January, and it underlines the point that this is clearly an issue that concerns Members from across the House and requires urgent attention and reform. 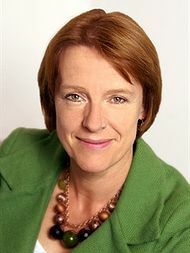 On 8th June 2015 the Second Church Estates Commissioner, Rt Hon Caroline Spelman MP, replied to two written parliamentary questions, on women and LGBT clergy. To ask the right hon. Member for Meriden, representing the Church Commissioners, how many members of the clergy in each of the last 10 years have been women.